While on vacation, unplug the garage door opener unit or use a wall vacation lock console security switch, which renders remotes unusable and is an optional accessory to most openers. A new trend in home invasion is gaining access to the home by stealing the remote from the car. Never leave the remote control in the car or with a parking attendant. Consider using a key chain remote and always lock the entry to the inside of your home – especially if your opener is programmed to your vehicle. It is a small inconvenience for safety and security. 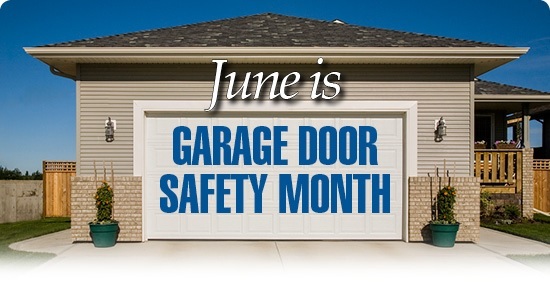 Homeowners should have annual safety checks and maintenance to their garage door system from a licensed and insured garage door company to keep their door operating safely and smoothly for a long time. This article was posted in Uncategorized and tagged garage door, garage door care, garage door dealer, Garage Door Maintenance, garage door opener, garage door remote, Garage Door Safety, garage door security, garage door springs, overhead door. Bookmark the permalink.